Don’t just Compete for the Future. Create It & Own It. 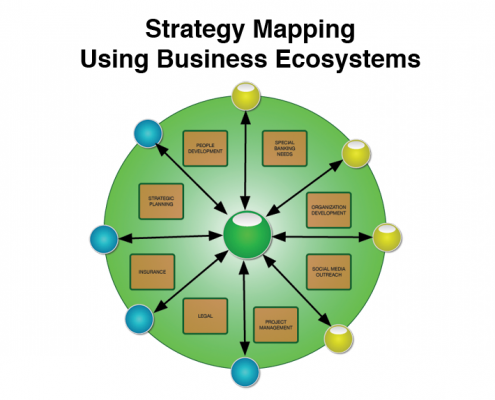 Strategize using the latest tools for Value Creation, Business Ecosystem Development, and Scenario Analysis. 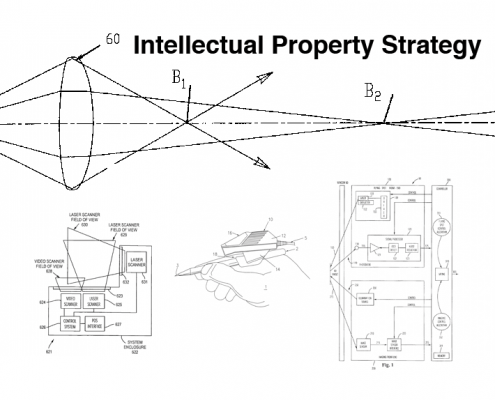 Our services include Special Expertise in Intellectual Property and Strategic Partnerships. Leverage what makes you Uniquely Different and Invaluable within Your Ecosystem. Transform your Organization into an Innovation Powerhouse. Learn how to dissect how your industry operates and what it needs most in the way of innovation. Understand where you are best positioned to add value for the long term, as well as where opportunities lie that no one else is serving. We show you how to focus your team more precisely, how to stimulate the most creative and disruptive innovations, ways to achieve faster times to market, as well as how to craft an Intellectual Property strategy that will keep you ahead for the long term. Define Your Brand and Spread the Word. From Naming to Crafting Your Message, Effective Use of Media (including Print, Broadcast, and Web), Marketing Collateral, Public Relations, Website Creation and SEO, Social Media, Blogging, and even Audio/Video Podcasting. Get Your Team ready for the Explosive Growth ahead. True breakout strategies and innovation demand more out of all your people, most notably so at the Executive Level. We provide targeted one-on-one Mentoring and Coaching to ensure your Senior Leaders have the right skills at the right time. Our specialist areas include: General Management, Strategic Planning, Leadership of Innovation, Intellectual Property Strategy, Product Development, Multi-site Management, and International Business. From consumer electronics to supercomputers to biotech, enterprise software, consumer electronics, internet solutions, alternative energy, and more, no matter the field you want to play in, we likely already come equipped with a background knowledge to hit the ground running for your business. We also have a strong portfolio in Non-Profits and NGOs as well. Everyone says this. But you will find our team to be one of the most responsive there is when it comes to getting up to speed on precisely what is needed to take your strategy, innovation, and branding to the next level. Also — as part of our team’s ongoing development — we are continuously exploring the fringes of innovation and strategy in a wide range of disciplines. Other firms focusing on Strategy and Innovation will come in and take months to analyze your business, products, competitive landscape, and branding. Meanwhile you’re rapidly losing ground in the most hypercompetitive market in business history. When you engage us, we will make sure you are on the best fast track to success, as quickly and assuredly as possible. As former executives who have crafted strategy as well as led the teams to deliver the goods, we are ready and qualified to be there with you well past the planning stage. In fact, after the initial strategic work is done, more often than not companies bring us on board to lead specific medium-term campaigns to execute the plans co-developed with them. That can include everything from a retainer relationship for guidance or Executive Coaching, all the way to bringing one or more members of our team “on board” to help manage specific product development issues, branding rollout, and strategic partnership development.